You know the folders filled with classified files that agents throw onto the table when you're watching the TV shows. This is the folder for The Blacklist. It's written from the point of view by Elizabeth Keen as a failsafe in case anything at "the Post Office" got hacked. She says that anything can be hacked by a handmade dossier with hard evidence like this cannot. And if you're holding this book, who knows what has already happened to Keen. If you're fan of the TV series, prepare to spend a considerable amount of time to look through all the files which make up the pages of the book. There are photographs, handwritten notes, profiles with blacked out lines, printed documents not intended for the public, and basically all the so called evidence. 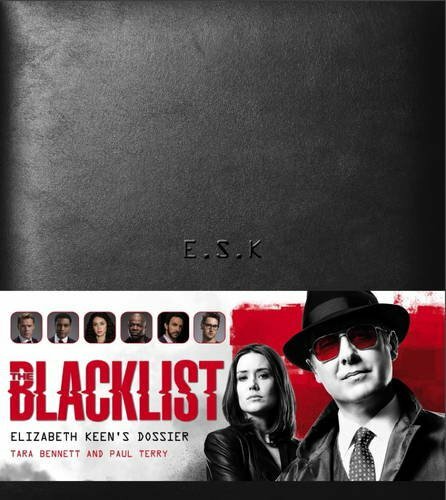 You'll get to know about about the different FBI agents, the people on the blacklist, connections between all of them and there's a special section for Tom Keen. This book is basically looking back at the shows again from inside Elizabeth Keen's head. She explains her analysis, suspicions and try to piece together the reasons for Raymond "Red" Reddington's interest in working with her. It's a wonderful companion for the series. I recommend it to fans who want to get in deeper. The authors of this book are Tara Bennett and Paul Terry.